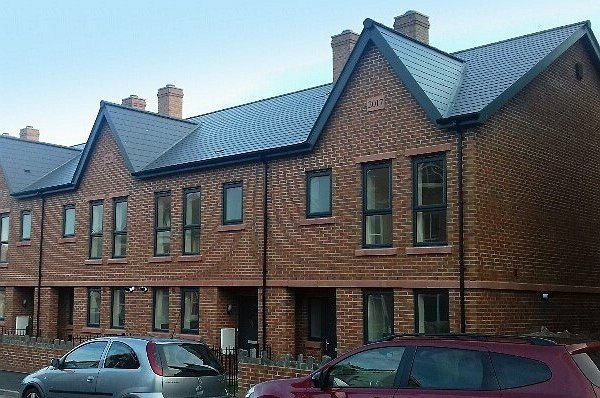 The new homes, a terrace of four three-bed properties and two, two-bed houses have been developed by the Pennaf Housing Group, working in partnership with the Welsh Government and Conwy County Borough Council. New residents have now moved into each of the properties and they are rented out at an affordable rate through Clwyd Alyn Housing Association, which is part of the Pennaf Group. “We’re delighted to welcome new residents into the homes which have all been let to local people,” said Craig Sparrow, Corporate Director Commercial Services, for Pennaf who added that the new homes form part of the Group’s commitment to create 1,500 new affordable homes across North and mid Wales by 2022. “We’d like to thank the Welsh Government and our partners at Conwy County Borough Council for their support, not only on this development but also for their commitment to wider regeneration work in the area,” Craig added.